This decadent, salted tahini hot chocolate is my cure for the winter blues! 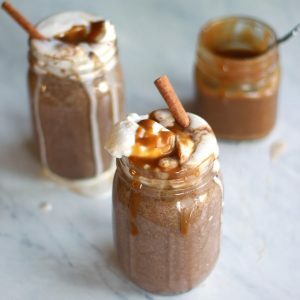 Topped with a generous heap of pillowy coconut whipped cream and drizzled with silky ribbons of salted tahini caramel, prepare to be comforted by this cozy drink’s warm embrace. Make sure to check out the YouTube video below to watch me make the hot cocoa and the caramel! The tahini infuses this warm hot cocoa with a silky smooth richness, and I prefer to also add a pinch of sea salt to bring out the rich chocolate flavor. I hope you guys love this recipe as much as I do! Make sure to tag your recreations on Instagram @zenanzaatar #zenanzaatar or pin this recipe for later! 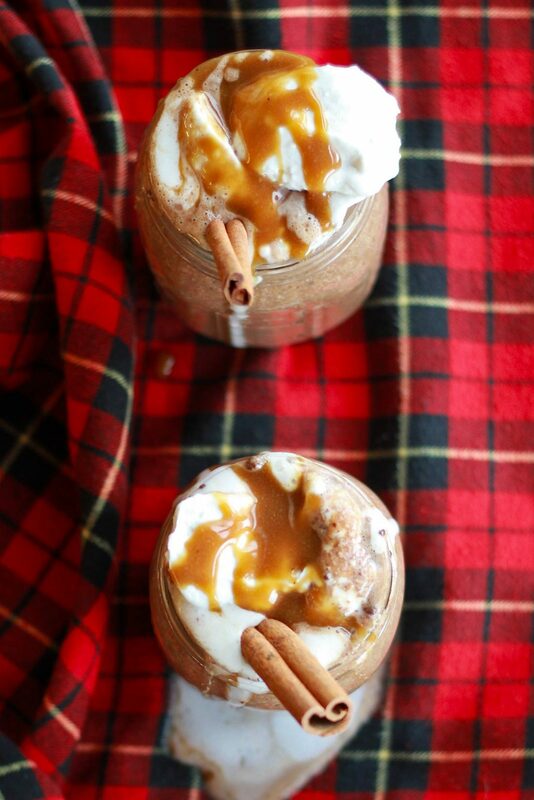 Decadent, rich, tahini hot chocolate topped with salted tahini caramel sauce! Dairy-free and vegan. Once heated through, pour into serving mugs. 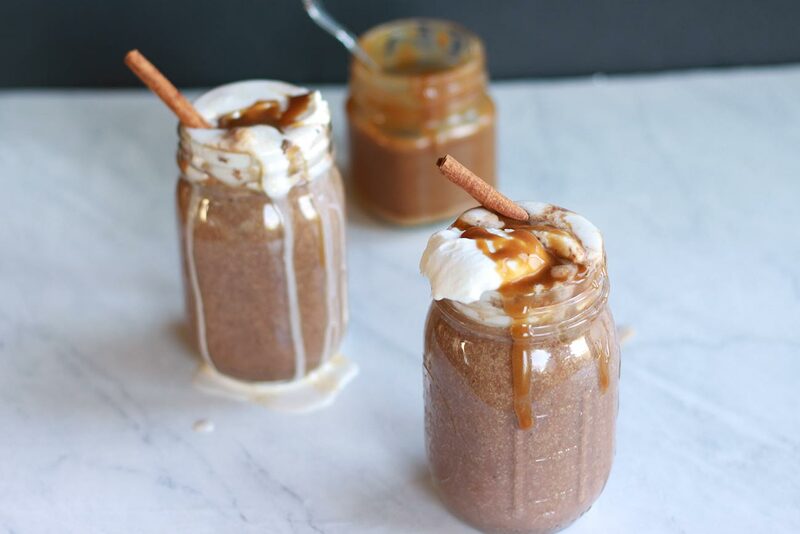 Top with your favorite non-dairy whipped cream and a generous drizzle of salted tahini caramel! 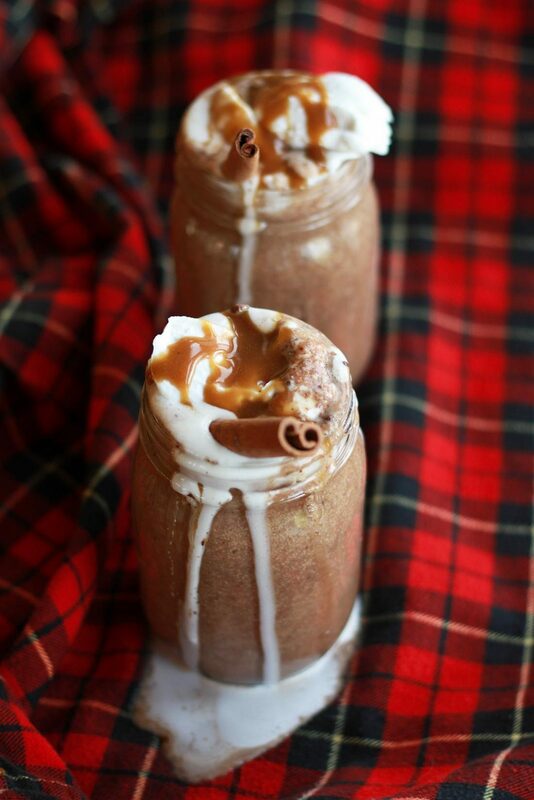 *Salted tahini caramel recipe can be found here! **To make your own non-dairy whipped cream, simply beat coconut cream that has been chilled for at least 12 hours with an electric mixer. (Coconut cream is the solid part of full-fat coconut milk; it will become easily separable if you chill the coconut milk overnight.) Beat in 2 tbsp or more of your favorite sweetener. What a wonderful way to combine some of the greatest flavors around, chocolate and tahini. I imagine it tastes like chocolate halva, one of my favorites. Thank you for this beautiful recipe and Happy New Year!